The 1985 Mustang GT was nearly identical to the 1986 Mustang GT on the exterior. However, there are numerous and important differences between the years. 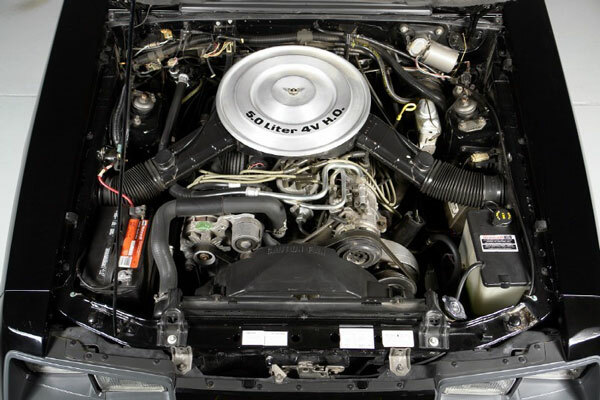 In particular, the 1985 Mustang GT was the final year of the carbureted 5.0L engine. The exterior of the Mustang GT was quite similar to previous years with a minor grill change and some new GT badging options. Color choices were varied and all GT Mustangs received the 10 hole aluminum wheels with the Gatorback tires developed by Goodyear. Included on GT's were GT badging in front of the rear wheels, hood strip, front and rear spoiler, and fog lamps. The interior of the Mustang GT was also a carryover from previous years and featured large circular gauges and an 85mph speedo. The big news for 1985 was the addition of 35 horsepower! This was accomplished through the use of a 600 cfm (cubic feet per minute) Holley carburetor with a dual snorkel air cleaner, high lift roller camshaft, tubular exhaust, forged pistons, and a better flowing exhaust system. Automatic owners were stuck with a wheezy one year only CFI system so the Holley version was reserved for those who chose a 5 speed overdrive manual transmission. In order to make the Mustang a better handler on the road the sway bar sizes were increased and larger wheels and tires were used. The major weak spot for the 1985 Mustang was the small 7.5 inch axle which was available with 2.73 (standard) or 3.08 gears. 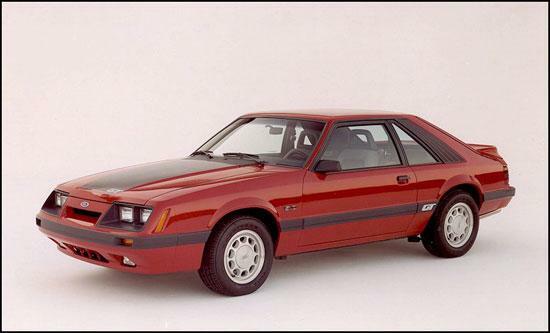 1985 also featured the second year of the SVO Mustang. The car was built on a fox body platform but featured many high tech features not currently found on Mustangs. It featured a turbo charge 2.3L motor delivering 210hp. The exterior received special enhancements such as unique aerodynamic chin spoilers, wheels, and a hood scoop. 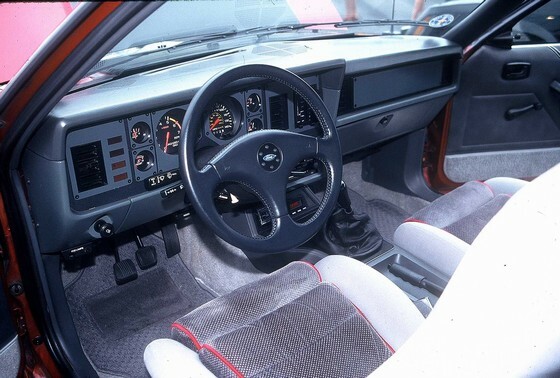 The interior also featured custom seating, steering wheel, and a host of other unique options such as a high and low boost switch. The suspension was also upgraded and used koni shocks and struts and four wheel disc brakes. The lower weight of the 4 cylinder engine and the upgraded suspension made for a very solid handling and performing vehicle. These cars nowadays have really held their value if in good original condition. If you're looking for an 85 Mustang for sale, I'm sure you'll find a wide variety of prices and conditions. Cars in excellent shape can sell for top dollar. There is quite the following for these Fox body Mustangs.